Black tourmaline is also called Schorl. Schorl is in contrast to other tourmaline opaque and often deep black. 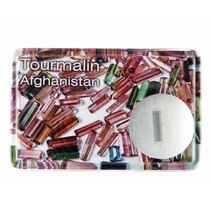 The tourmaline has this black color becasue of the many iron compounds in this mineral.